We Ditched Our House and Moved Into a Bus! How Much Does That Cost? A new year is time for many people to take stock of what they want from life and make new plans. 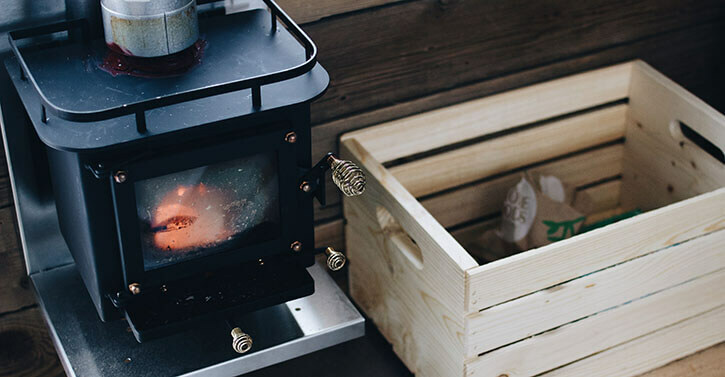 Kayla, of lifestyle blog This Little Wandering, is on the cusp of a particularly dramatic change. 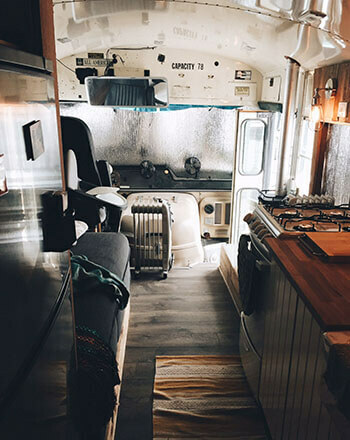 She and her husband, Ben, sold their house last year and renovated an old school bus. 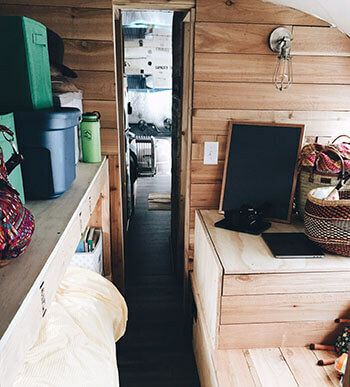 They’ll be living with their toddler daughter in just under 200 square feet (on wheels). “It kind of goes back to when we were pregnant with Jessamyn back in Denver,” Kayla said. 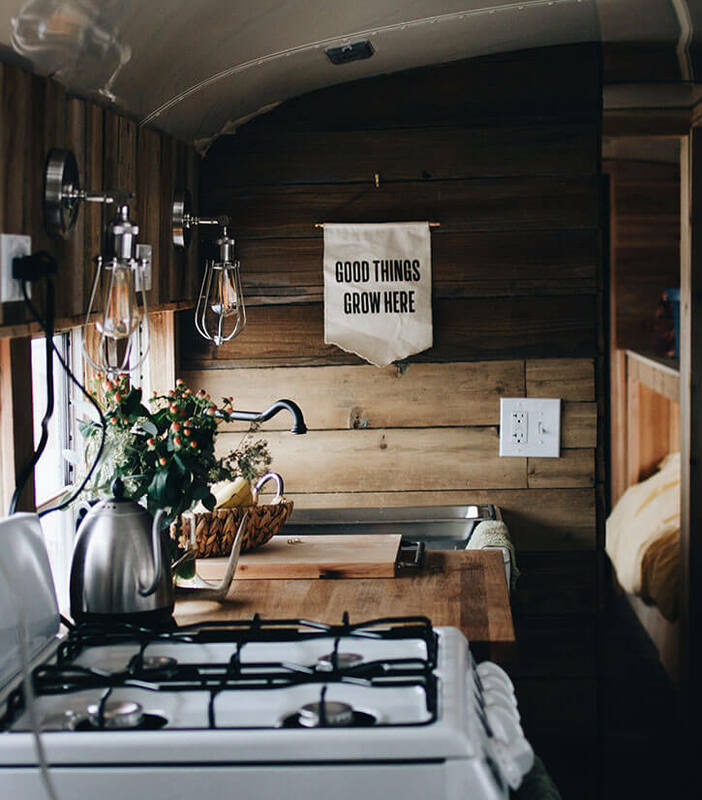 “We were in a tiny home, 600 or 700 square feet. We moved to Colorado Springs to be closer to family.” Their new house was much bigger, and the couple assumed it would make life with a baby easier. Instead, unexpected challenges strained their relationship. How much does a dream bus cost? Think only Type-A planners can pull off a big project? Think again. “I would like to say that we planned this out in great detail, but the truth is we went with it as we did it,” Kayla admitted. The couple used savings to buy their school bus home-to-be for $2,400 at an auction last June. They dove into renovations, gutting the seats, framing, and walls to make living space. Then lack of budget planning caught up to them, hard. Unfortunately, like many fixer-uppers, they ran out of money. Note: Costs listed do not include floors, cabinets, countertops, or furniture, among other ongoing expenses. Build items received as gifts are not included in total cost. Kayla still has amenities on her wish list, above and beyond the $15,000 estimate. Her plans for a generator will have to wait a little longer. Good budgeting habits helped Kayla and Ben begin working on the bus again. Even so, ordinary life expenses threatened to throw off finances. Ben’s car, for example, is old and will need to be replaced soon. Kayla was also worried about their credit card debt. Colorado Credit Sesame readers can probably sympathize. A typical couple in the state has a combined credit card balance of around $7,600. Kayla realized that if her dream of a wandering life was going to happen, she’d have to completely commit. “In August or September, we put our house on the market and sold it in a month.” Selling the house wasn’t the original plan. They considered renting it out. But besides their cash flow issues, it became clear that owning the house was causing more stress than security. Feeling spread too thin between multiple priorities is common. It’s a good idea to examine your goals periodically to see if one of them has become more of a burden. Even after the sale of the house went through, Kayla and Ben had to stay focused and deal with small and large challenges along the way. Little items left out of the initial budget began to add up. Overall, the couple will save $1,000 per month on mortgage alone in their new lifestyle. Surprisingly, they even expect their gas bill to go down! 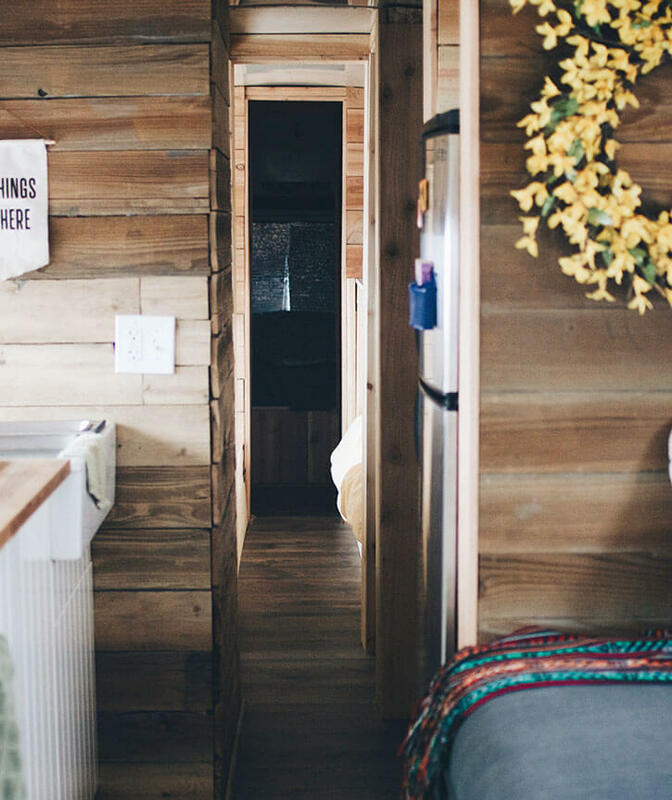 Their home may be on wheels, but parking closer to work cuts down on overall transportation costs. They’ll still pay some monthly bills, such as camping fees for national parks, but for the most part, bus life is much cheaper. Kayla and Ben currently live in a guest room with family to avoid rental costs while they put the last touches on the bus. As construction schedules hit delays, stress creeps up. Ask how she finds time to relax, and Kayla’s first response is to burst out laughing. Peace and privacy aren’t in the budget right now. Anyone can look at an Instagram account and romanticize a stranger’s lifestyle. It’s not always as easy to understand the grit and sacrifice that goes into achieving a dream. 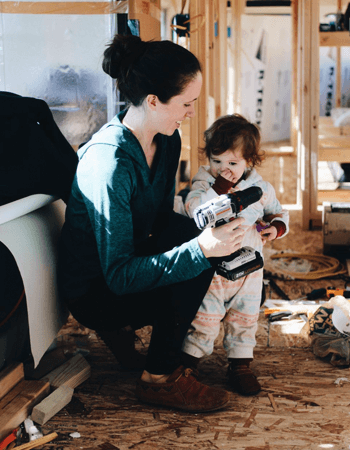 When she’s frustrated by a setback, Kayla focuses on the reason behind all the effort: creating a home that’s perfect for her family. Jessica Sillers writes about business strategy, personal finance and careers. When she's not writing, she enjoys reading, travel and exploring D.C. with her husband.